A $100 laptop was the idea of Nicholas Negroponte. The One Laptop Per Child Association, created to provide cheap computers to children around the world, is no longer operating out of its facility in Cambridge, where the widely publicized nonprofit was founded nine years ago. One Laptop Per Child was founded in 2005 by Nicholas Negroponte, a professor at the Media Lab of the Massachusetts Institute of Technology. Negroponte gained global fame and galvanized the computer industry with his proposal to build a low-cost laptop computer powered by a hand-cranked generator and stuffed with educational software. Most surprising was his claim that such a machine could be sold for about $100, a price that seemed far out of reach at the time. 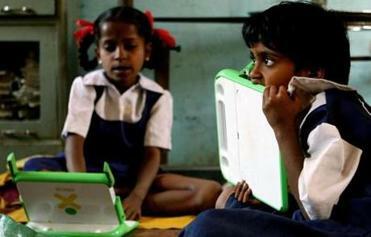 Children worked on One Laptop Per Child devices at a school in India. About 2.8 million laptops have been distributed. Negroponte planned to sell millions of his laptops to the governments of developing countries where computers and electric power are scarce. Those nations would then distribute the machines free of charge to children, to be used as educational tools. “The computer provides the only way to give students a real foundation in 21st-century skills,” he said in a 2005 interview. Since then, OLPC has distributed about 2.8 million laptops in such countries as Uruguay, Rwanda, and Peru. Arboleda said Uruguay will soon receive 50,000 of OLPC’s fourth-generation laptops. The latest version has a new videoscreen that goes from full color for indoor use to an easy-to-read monochrome setting when used outdoors. OLPC also recently started distributing a tablet computer which is available to US consumers for about $120. OLPC never managed to get its laptop to the $100 price point — the current one costs about $200. But Arboleda said the organization has closed a deal with Indian electronics firm Datawind to create a tablet computer with a keyboard and solar panel for battery charging and will cost about $60. 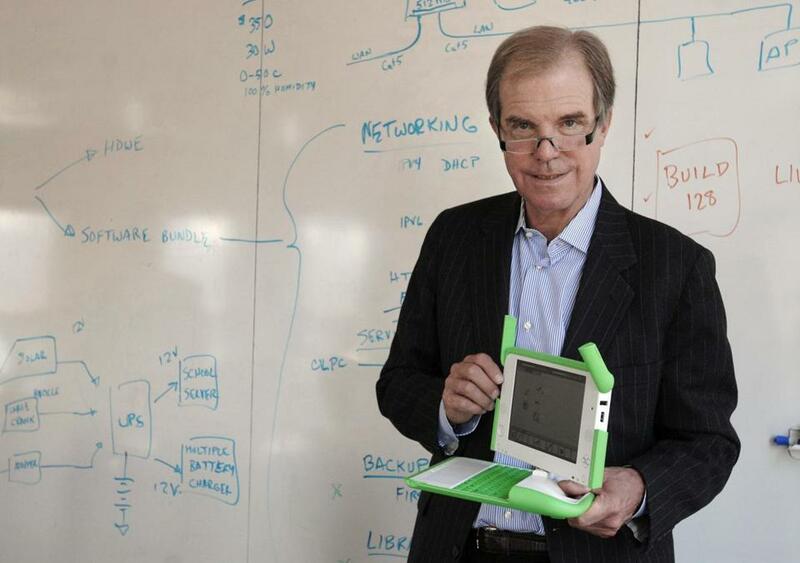 Richard Rowe, chief executive of Open Learning Exchange Inc., an educational technology nonprofit in Cambridge, briefly headed up OLPC in 2007. He left after becoming convinced it placed too much emphasis on computing hardware and not enough on improving overall education strategies for low-income children. He said Open Learning Exchange places a greater emphasis on training teachers and administrators to make good use of computers in classrooms. Still, Rowe and others agree Negroponte’s efforts to bring low-cost technology to schoolchildren has been a game-changer. “He has stimulated a market for low-cost tablets and laptops that have begun to be really adopted quite broadly throughout the world,” Rowe said.